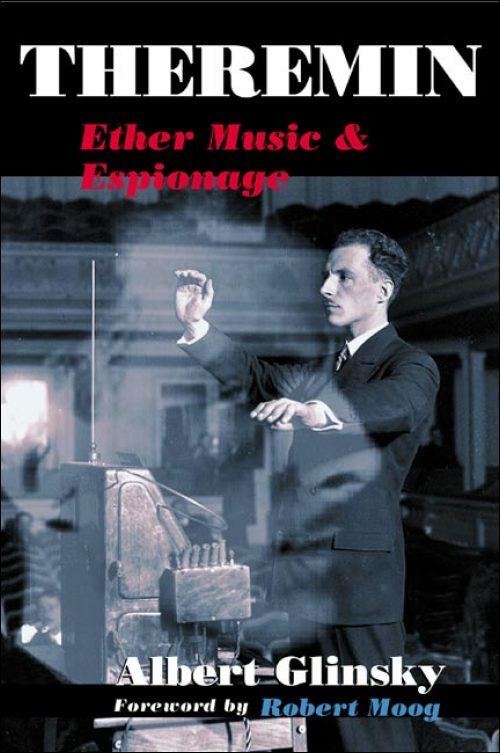 “Leon Theremin led a life of flamboyant musical invention laced with daring electronic stealth. A creative genius and prolific inventor, Theremin launched the field of electronic music virtually singlehandedly in 1920 with the musical instrument that bears his name. The theremin-–the only instrument that is played without being touched-–created a sensation worldwide and paved the way for the modern synthesizer. Its otherworldly sound became familiar in sci-fi films and even in rock music. This magical instrument that charmed millions, however, is only the beginning of the story. As a Soviet scientist, Theremin surrendered his life and work to the service of State espionage. On assignment in Depression-era America, he became the toast of New York society and worked the engines of capitalist commerce while passing data on U.S. industrial technology to the Soviet apparat. Following his sudden disappearance from New York in 1938, Theremin was exiled to a Siberian labor camp and subsequently vanished into the top-secret Soviet intelligence machine, presumed dead for nearly thirty years. Using the same technology that lay behind the theremin, he designed bugging devices that eavesdropped on U.S. diplomatic offices and stood at the center of a pivotal cold war confrontation. Throughout his life, Theremin developed many other electronic wonders, including one of the earliest televisions and multimedia devices that anticipated performance art and virtual reality by decades. Reviews: Irina L.Vanechkina (Leonardo, 2001), Hans-Joachim Braun (Tech Cult, 2001), Mark Polishook (Notes, 2001), Ann Warde (Comp Music J, 2002), Kyle Gann (Am Music, 2003).